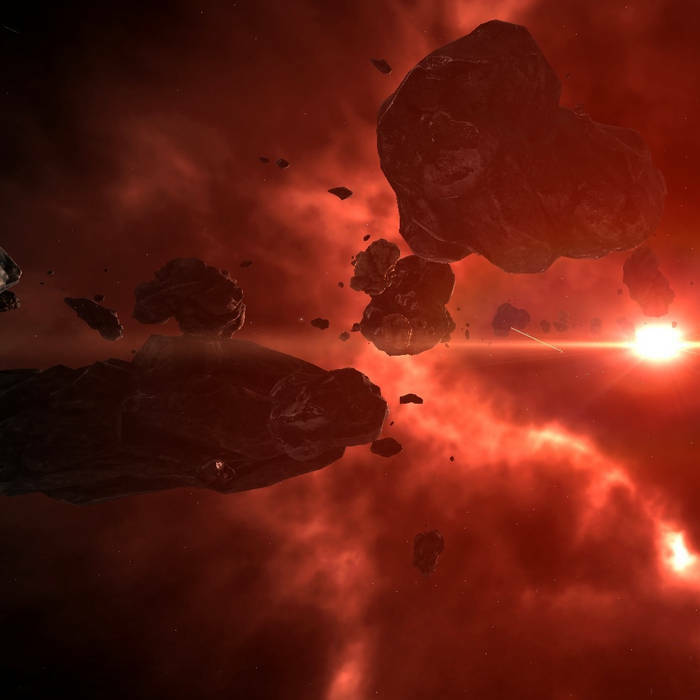 Jon Hallur has done an excellent job with the music of EVE, some of which is genuinely memorable and definitely helps enhance the atmosphere of EVE. Even those who largely play with the music muted (for whatever reason) will have a handful of tracks that they enjoy. My most favourite track of all time is "Below the Asteroids", I've always envisioned myself dancing to this song. The problem was — it wasn't made for dancefloor. I was planning to do this remix for years but several tries I've done before didn't satisfy myself and didn't carry the feel of the song the way I wanted it to. Now I think I've nailed it. I'm not completely happy with it but I've road-tested this remix in my DJ sets without announcing what song it was, and it blasted the dancefloor! Dancefloor remix of EVE Online's "Below the Asteroids". Original music by Jon Hallur, remixed with permission. Jon Hallur — for original song. My fiancee — for tolerating me while I was working on this song for 3 weeks.